Few positions in sports hold as much power as a pitcher in softball. As opposed to baseball, a softball pitcher can work just about every day. In sports like basketball and football, opponents can double — or even sometimes triple team — an individual, forcing other athletes to make a play to decide the outcome of a contest. How do you get the ball out of the hand of a softball pitcher staring down from 43 feet away? There’s no other option than waiting for her to release it. The pitcher will start the play every single time. Eggert said she loves the power that comes with pitching. 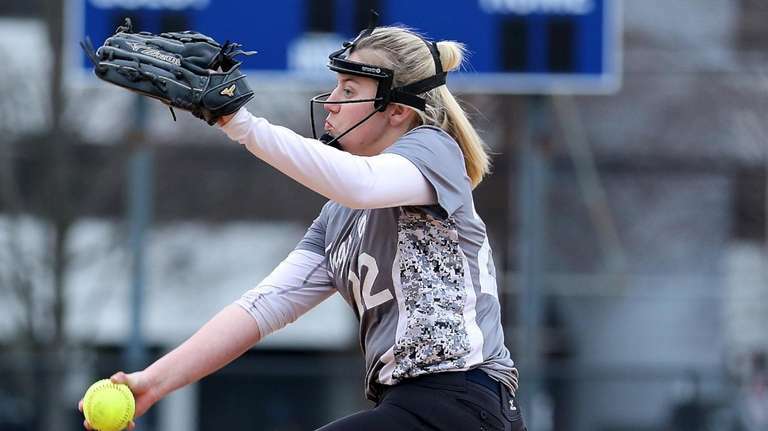 It’s where she feels most comfortable, and that goes for many of the top pitchers in Suffolk and Long Island, including St. Anthony’s Alyssa Seidler and Whitman’s Riley Piromalli. Every pitcher has a different mentality in the circle, but each has a common attacking mindset. Some think about every possibility on a given play or pitch, some focus pitch by pitch, others try to stay 10 steps ahead. Eggert has a mindset of her own. Eggert had 16 wins a 1.30 ERA and averaged 11.9 strikeouts last season. With the combination of power and finesse, few pitchers can match her talent and few hitters can make contact. For Seidler, pitching didn’t come naturally. The junior started playing softball in the third grade, but didn’t start pitching until around age 11. She wasn’t an instant star in the circle, but had the drive to improve, going 8-2 last year with a 1.03 ERA and 129 strikeouts in 75 innings. Seidler, who has pitched in league and state championship games, thrives in the circle when the games matter most. She said that the more important the game, the more she demands of herself. For others, like Piromalli, softball is a family affair. When Riley was younger, she would attend the tournament games of her older sister, Jenna, wanting to imitate everything she did in the circle. Riley and her sister pitched to each other in the backyard growing up, and it helped Riley’s game grow. Last year she had a 2.43 ERA and recorded 149 strikeouts in 115 innings. 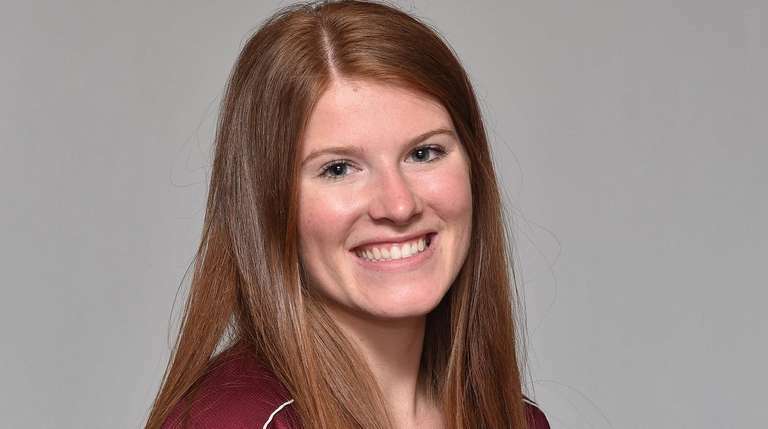 Just like every other successful pitcher in the area, she embraces the control and the power that comes with standing in the circle with a game’s fate in her hand. And when there’s a pitcher that teammates and a coach can trust in the circle, the boost of confidence is clear for every player on the field. 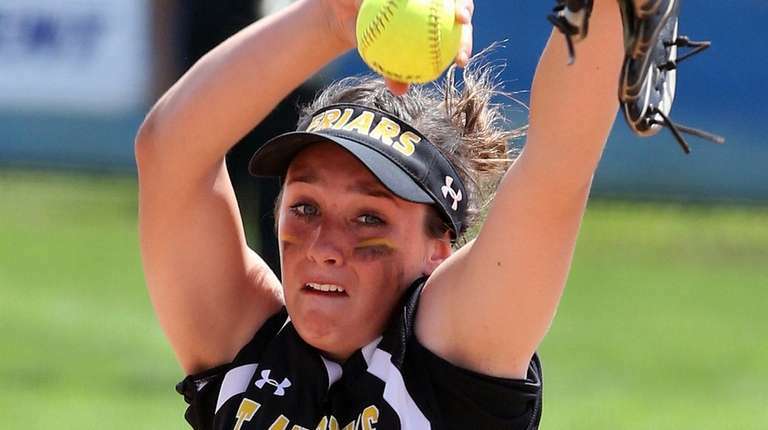 Others pitchers to watch this season: Emily Chelius, East Rockaway, Sr.; Julia Golino, Mt. Sinai, Sr.; Christina Hassett, Farmingdale, Sr.; Emmi Katz, Commack, Soph. ; Kristina Maggiacomo, Ward Melville, Sr.; Hailey Puglia, Sachem East, Sr.; Lindsay Roman, Calhoun, Jr.; Jaclyn Schemmer, Carey, Sr.; Erin Steinert, St. Anthony’s, Sr.; Julia Tarantino, Kellenberg, Jr.